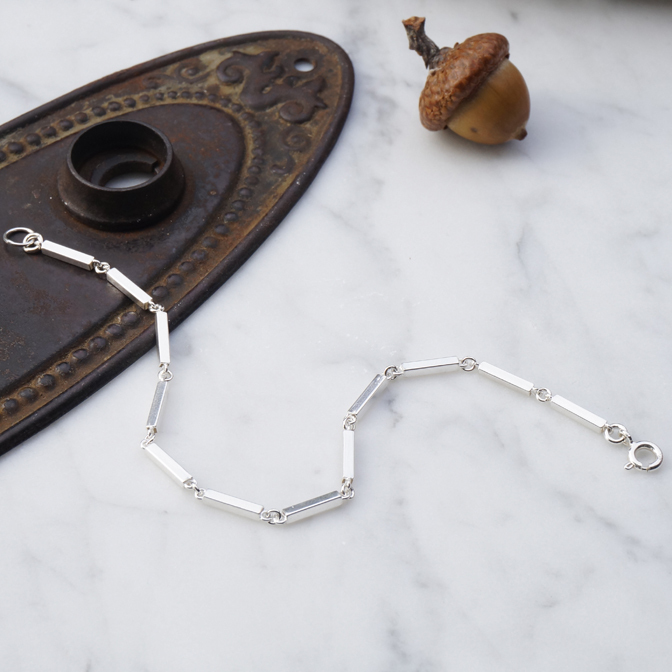 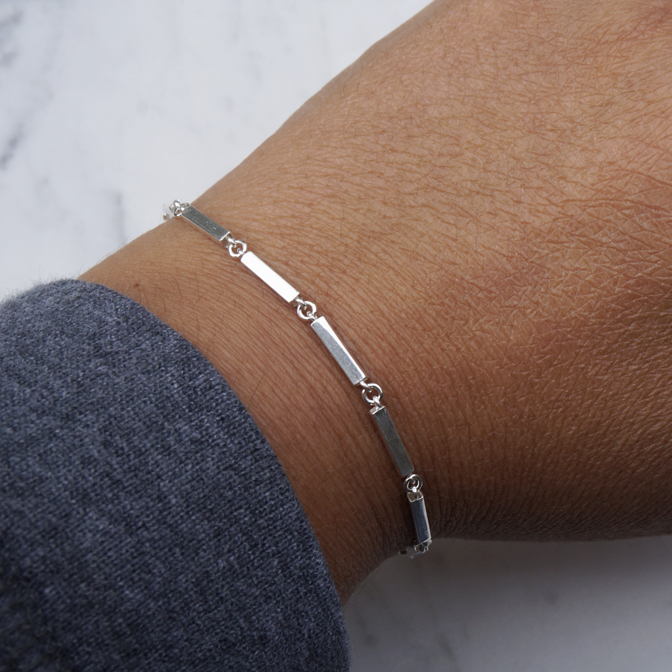 A sweet new layering bracelet with charming four sided rectangular connectors. 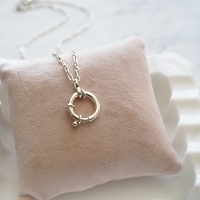 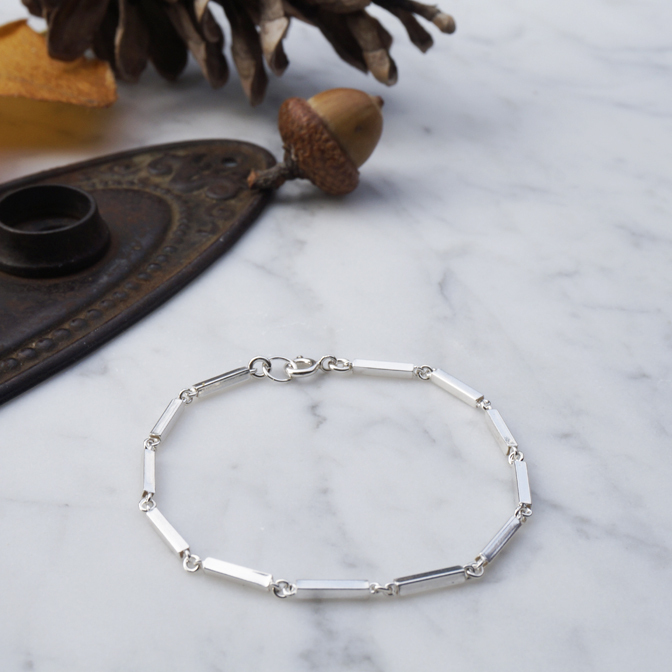 Lovely to wear on it’s own, or the perfect new layering companion for your bracelet stack. 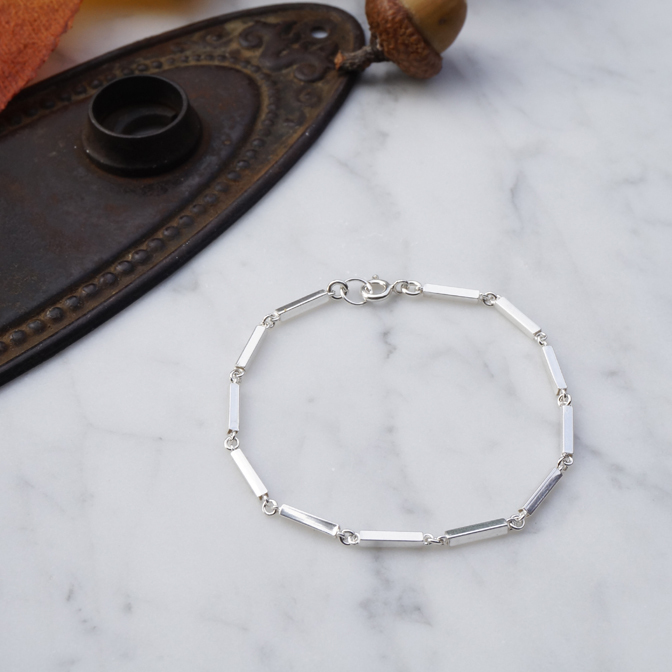 As soon as I saw this lovely bracelet, I knew I had to have one! 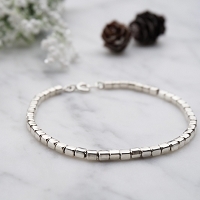 It's the perfect size to wear layered with other bracelets, but also looks so pretty by itself. 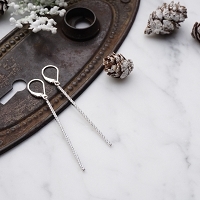 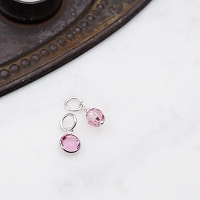 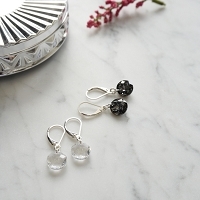 I like to wear mine along with my Luca earrings, which are also long & flat shaped.